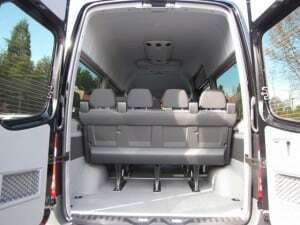 This Mommy-bus comes equipped to handle 12 passengers- which means my kids plus four soccer team-mates! And what's really cool- you can completely stand up in it- so when you are cruising down the highway on a 12-hour road trip to Grandma's, and the DVD player in the back row stops working- you can just unbuckle from that front passenger seat and stroll right down the aisle to the back of the bus and render some technical assistance- without all of that cumbersome stooping and climbing over seats! And you can just forgo that gym membership- your biceps will be toned and buff from the workout involved in sliding that 10,000 lb door back and forth countless times each day… dropping kids off and picking them up. No wimpy automatic sliding door for you- no sir! Ahh…. just take a look- is that a jetliner? 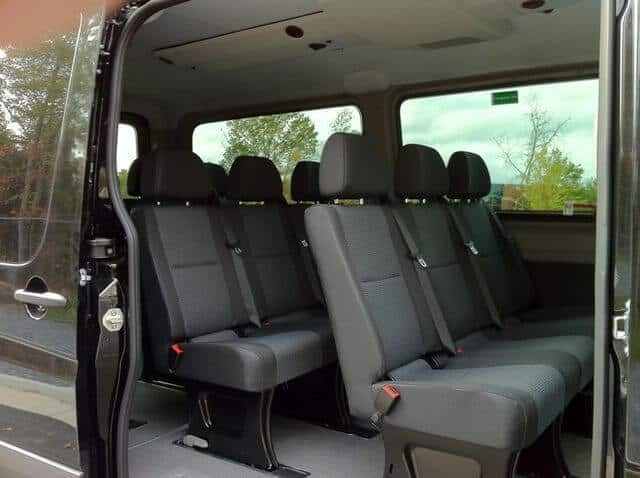 No- that is the four, yes count them four rows of luxury seating… of course, my car doesn't look at all like this- because my seats are covered by booster seats for the under-8 set… Not to mention 10 lbs of dirt and stale french fries…. But all kidding aside- this truly IS the model of car that I drive…. everywhere…. everyday. And no, it does not have bunk beds or a toilet in it (as so many people stop to ask me). It gets excellent gas mileage- 20-21 miles/gallon- but it is a diesel engine, and right now diesel fuel is slightly more expensive than regular unleaded gasoline, but over the course of the past 2 years that I have owned this car, there have been times that diesel fuel has been cheaper than gas. I do not need a special type of driver's license to drive this car…. and it really is not very hard to drive or park (except maybe parallel parking). It is tall- my car is 9 ft 6″ high, which means that I cannot drive it on many of the parkways in the Northeast, because of low bridge clearances. And I cannot take it through many fast-food drive-thru windows, again because of the low clearances. The reason we bought this car a few years ago, was because when we jumped from 5 to 6 kids, we could no longer fit in my old mini-van… and the only option in a “standard” type of car was of the Suburban / Tahoe sized range- and all of our kids were still in car-seats or booster seats at that time. 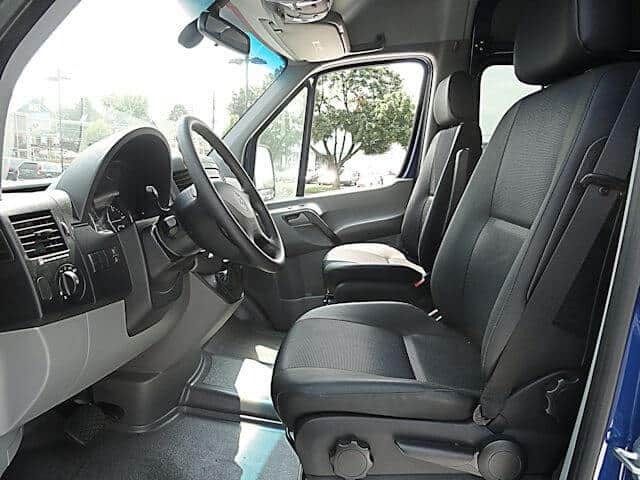 Even those large vehicles couldn't handle running 3 car or boosters seats across each of 2 rows, and leave enough room for kids to easily reach down and buckle their own seat belts (which was a requirement of mine!)…. 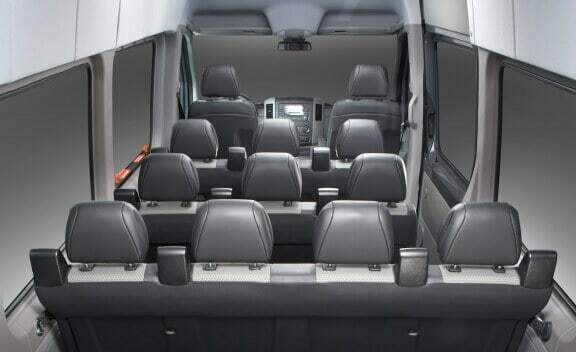 so we really felt that our best option was to start looking into full sized passenger type of vans…. and after doing quite a bit of research- we felt that the Sprinter (a Chrysler product back then, but now exclusively a Mercedes product) offered the best price, the best fuel economy, and the best options for “extras” such as heated seats of any of the full sized passenger vans on the market at the time. I really do love my car- and feel that is is the perfect solution for my family. It truly is one of my “favorite things”. « Sharon’s Favorite Things….. The right tools to clean your home! I came over from your link in the comments at The Complete Guide to Imperfect Homemaking. You must drive the tall Sprinter. We’ve had the short and short for almost two years and looooove it! It makes me happy to know of another family using their bus as a family vehicle. I get comments and questions about mine all time time. Nice to “meet” you, Sharon. I came here through a link my friend sent. My husband has a Sprinter that he uses for his business, but my personal vehicle is a Dodge Durango. We are thinking ahead, however, and will most likely be getting another Sprinter as our primary personal vehicle. We love the Sprinter! 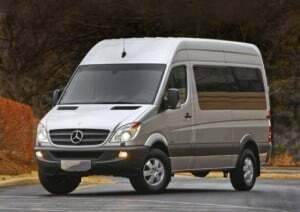 I have to tell you- you are only the 3rd person I know who drives (or plans to drive) a Sprinter! But this “family bus” is really the prefect car for large families! I am so glad that you stopped by today! Just found you from Home Sanctuary. I’m so excited!! We just had our 6th. 🙂 We drive an Odyssey so now we have to take two cars when the whole family goes anywhere. I’ve not seen this van before. WOW!